Possibility to spend the night at Mumbai airport (BOM), if open 24 hours. Services available, places to rest (free resting zones), or look for the list of nearby hotels and vip lounges..
A relatively modern and safe airport that opens 24 hours a day, although it does not have many amenities. Where to rest: While you will not find many seats in the public area, next to gates 85-86 of Terminal 2 there are comfortable couches and benches. 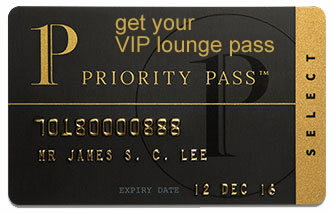 Another option is to enter one of the VIP lounges, which open around the clock and provide more privacy. SEE VIP LOUNGES In Terminal 2, on the other hand, there is a transit hotel. Baggage: Luggage storage offices next to the exit from both terminals. Eating and drinking: There are options open throughout the night in the Departures area of both terminals. Other services available around the clock: ATMs, baby changing facilities, prayer rooms, medical clinics, children's play area. On level 1 of Terminal 2 is found the Niranta Airport Transit Hotel (Tel +91 226 729 6729). Near the terminals are located: Sahara Star (Tel +91 223 989 5000), The Orchid Hotel Mumbai Vile Parle (Tel +91 222 616 4000), Hotel Airport International (Tel +91 222 618 2222), Ibis Mumbai Airport (Tel +91 226 716 7777), Waterstones Hotel (Tel +91 224 090 6633), Taj Santacruz (Tel +91 226 211 5211), Hotel Bawa International Mumbai Airport (Tel +91 222 663 6100), JW Marriott Mumbai Sahar (Tel +91 222 853 8888), Hyatt Regency Mumbai (Tel +91 226 696 1234).